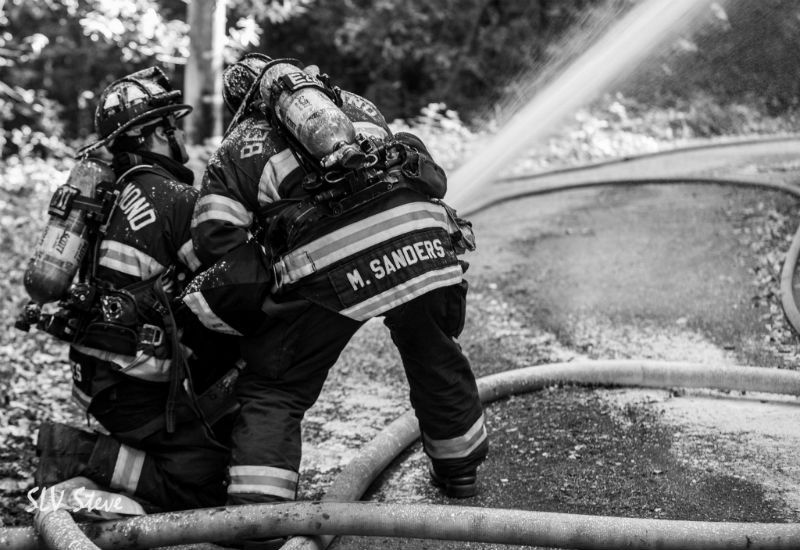 The Ben Lomond Fire Department is made up of a variety of volunteers who live and work among you each and every day. Here’s a brief introduction to the group of people who make up your local fire department. Rick Alves: Firefighter. I was born and raised in Ben Lomond and I am certified in swift water rescue. Hunter Anderson: Grew up in Ben Lomond. Title: Engineer, EMT, swift water rescue technician, and boat operator. Jess Carkner: Puyallup, Wa. is my hometown. I’m an EMT, Firefighter. As we head into the holidays, we want to offer locals five quick safety tips to help prevent a home fire during what should be a festive time of the year. This may seem like a no-brainer, but some people forget to change batteries and regularly test the smoke detectors in their homes. Set a day every year – like January 1st – to install new batteries, or immediately when the alarm begins to chirp. Smoke alarms are designed to alert you before the battery dies, allowing you time to replace it. 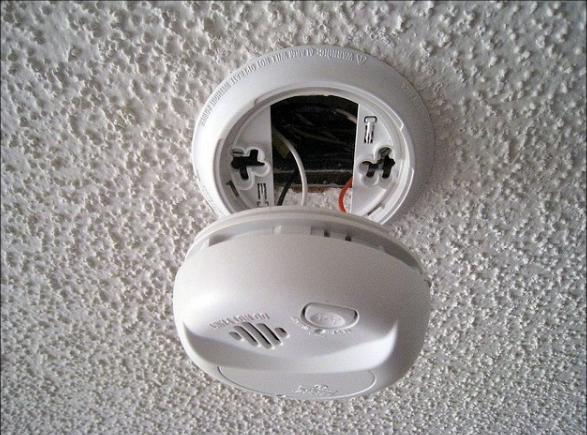 Smoke detectors should be placed on every level of your home, tested monthly, new batteries installed annually, and the units replaced after 10 years. Some alarms can also be Interconnected, so that when one goes off in one area of a house, they all sound. Once you have working smoke alarms installed throughout your home, you should have a fire-exit plan that all family members are aware of with the quickest escape routes from every room in your home. Run through safety drills occasionally, so that everyone remains on the same page and the escape plan becomes second nature. Fires are scary and will likely bring chaos and panic, and a well-rehearsed family exit plan is beneficial for both adults and children. In addition, ensure children are aware of fire hazards and rules – for example, feeling a door for heat before opening it, and “stop, drop, and roll.” Once you’re out of the home, never go back inside. 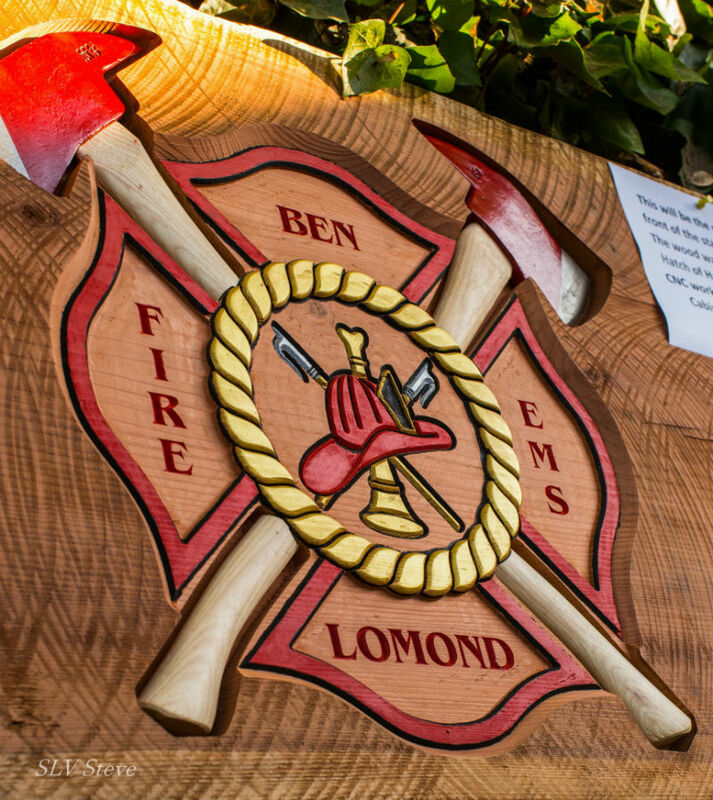 The Ben Lomond Fire Department will soon have a fresh look, in the form of a beautiful new sign created by volunteer firefighters and local businesses. Just a few days before, Boynton had been milling lumber with a friend, and as he attempted to repair the falling sign, he had an idea. Why not build a new sign for the station? 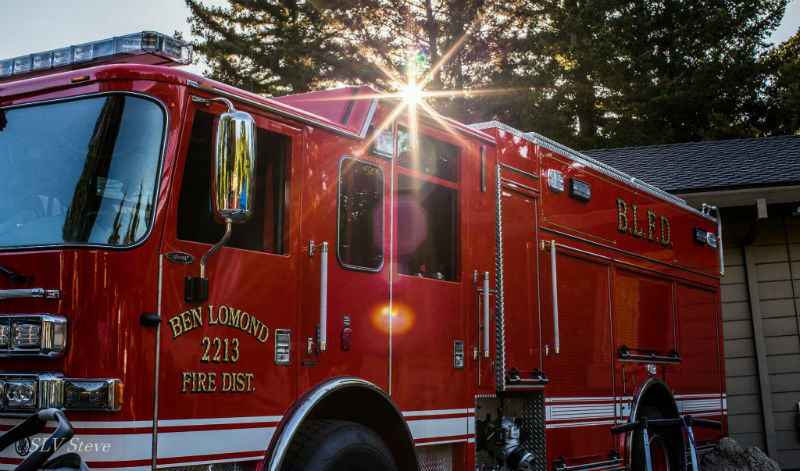 When you call 9-1-1 and the Ben Lomond Fire Department (BLFD) responds to the scene, chances are that you’re being assisted by members of the same family. Since its beginnings more than a century ago, the Department has been staffed by volunteer firefighters who call Ben Lomond home. And many of those who serve today either volunteer alongside family members or are just the latest generation in a long line of BLFD firefighters and supporters. Aside from current Fire Chief Stacie Brownlee – whose late father, Mike Smith, was chief in the 1970s and ’80s – there are a number of BLFD volunteers with family roots that run deep. 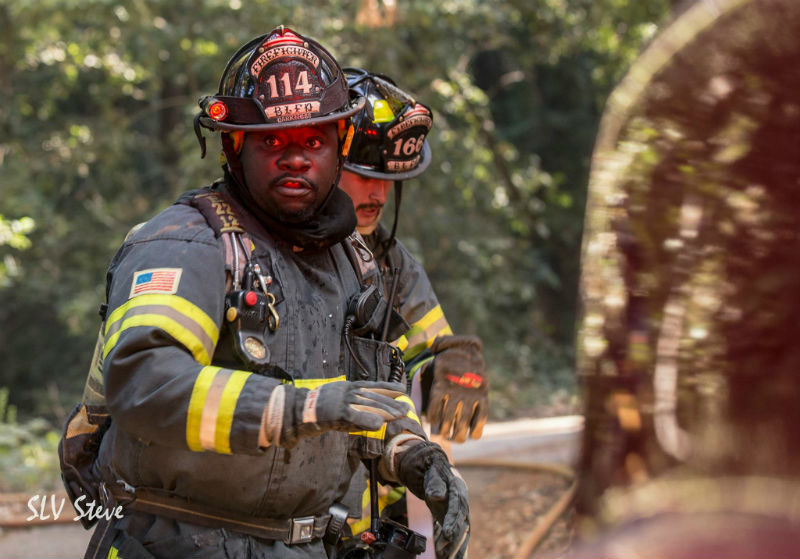 From fathers and sons, to cousins, grandfathers, and in-laws, here’s a look at just a few of your local firefighters who are keeping it all in the family. One of the most recent volunteers to join the department is Duquan Ruff, the 19-year-old son of BLFD Engineer Steve Ruff. The father and son pair is part of a firefighting family that’s served Ben Lomond for many years. Steve and his wife Teresa (daughter of retired Battalion Chief Ed Butler) moved to Ben Lomond in 2003, when Duquan was about 3. Steve joined BLFD in 2004 after he finished serving in the U.S. Navy. Born and raised in Philadelphia, Steve said he was a little hesitant about living in such a small community. One of the many things that makes Ben Lomond – and the entire San Lorenzo Valley – so incredible is its amazing location. Situated among majestic redwoods and mountainous slopes, our community is renowned for its natural beauty. But dense forests and steep roads can be difficult to navigate when an emergency arises. That’s where Ben Lomond Fire Department’s Engine 2213 comes in. The Engine – purchased in 2015 for about $612,000 and delivered in January 2016 – was custom-built to BLFD’s specifications to fit the unique needs of Ben Lomond and surrounding communities. BLFD Fire Captain Matt Sanders was part of the committee tasked with hammering out equipment requirements and details of the new Engine design. The Engine’s body size and horsepower were two of the most important variables the committee initially determined. 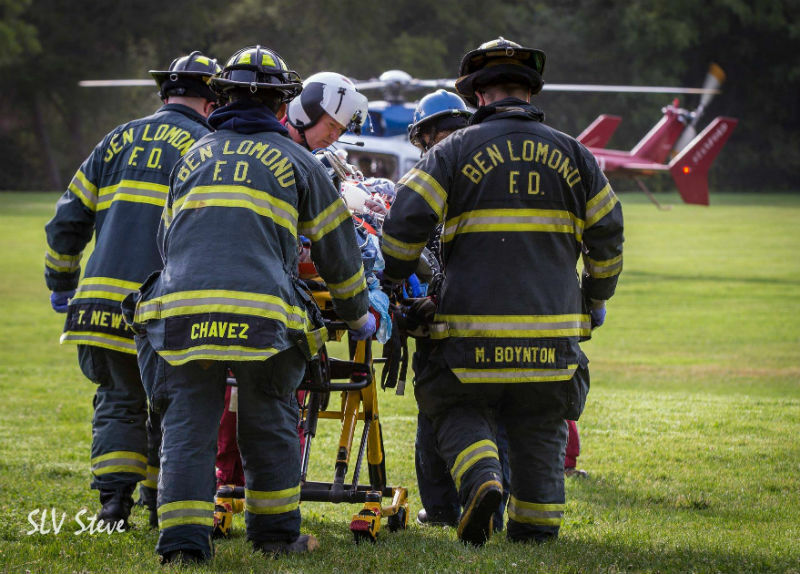 When fire season slows and the winter rains roll in, the Ben Lomond Fire (BLFD) remains the go-to department for emergencies in the community and throughout Santa Cruz County. 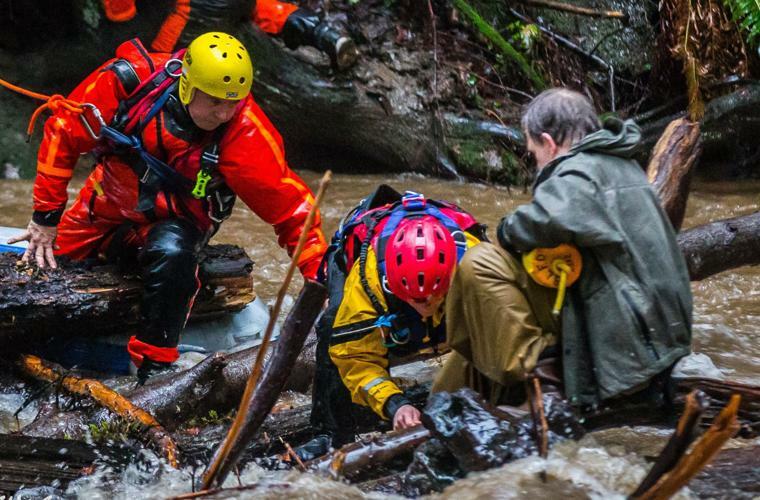 The San Lorenzo River and the multiple creeks in the area can become dangerous during heavy rains, and that’s where the swift water rescue team members from our BLFD – the only department in San Lorenzo Valley with certified swift water technicians – jump into action. The team – consisting of volunteer firefighters Matt Boynton, Matt Sanders, Hunter Anderson, Scott Bingham, Mark Brown, and Chief Stacie Brownlee – responds to water rescues from the mouth of the San Lorenzo River up to Boulder Creek, as well as to other creek emergencies around the county. Brown said that through the years, they’ve responded to a variety of water incidents, including kayaks stuck in the river, vehicle accidents, flooding, and recovering the bodies of people who’ve drowned. Chief Brownlee added that most water emergencies are preventable. The piece below was submitted to us via email. We wanted to share the poem, which was written by Janet Butler for her husband, Ed Butler, when he retired as BLFD Battalion Chief in 2010. …but he’s only a volunteer. As fires continue to rage throughout our state and some of our Ben Lomond volunteers assist in the fight, we want to offer locals five quick outdoor safety tips to help prevent a fire disaster in our community. 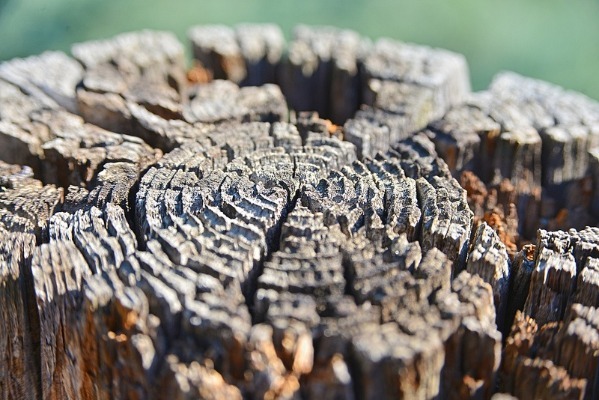 Your property should be maintained as a “reducedfuel zone.” This means that the area at least 100 feet out surrounding your house must be kept clear of dry vegetation, dead trees and shrubs, and low-hanging branches. 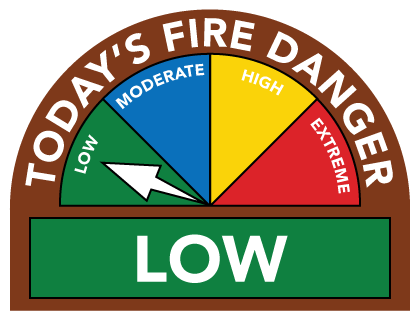 And it’s not just us saying this – California law requires a minimum of 100 feet of defensible space. Dry trees create fuel for wildfires, so keep a clear zone that may redirect a wildfire around your home. Examine your yard monthly and clear debris, trim branches, and clear your roof, gutters, and wooden decks of dry vegetation. Always remember that the clearer and more open an area is, the better chance we have to protect your property.